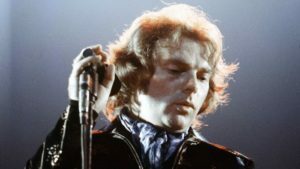 No need to say a lot about “VAN THE MAN.” I’m talking about Van Morrison, of course, that great Irish singer/songwriter. He’s given us so many terrific tunes, and some have found their way into my head before. Just think about it. There’s “Brown Eyed Girl,” probably his best-known song. And there are so many others, from “Into The Mystic,” which happens to be my favorite, to “Domino” and “Wild Night Is Calling” and “Tupelo Honey” and “Caravan.” There’s “Someone Like You,” “Have I Told You Lately,” and “Moondance.” Plus “And It Stoned Me.” “Bright Side Of The Road,” and “Jackie Wilson Said.” I could go on and on, but it seems that just about everybody I know is a big fan of Van. I’ve been told that he’s been known to be rather cantankerous in concert, and when you go to see him in concert it’s a crapshoot because you don’t have any idea whether he’s going to be in a good mood or a bad mood. I’ve never caught him in person—all I know is he sounds great on his records. The Van Morrison song that’s playing in my head today is “DAYS LIKE THIS.” As in, “Mama said there would be days like this.” And it’s Monday, so I guess it fits!